These shakers are both charming and practical! They are not your traditional shaker because they don't have a stopper on the bottom. To fill, simply pour salt, pepper or other favorite spice into the bottom of the shaker. You may need to tap or jiggle the shaker until the salt or pepper funnels through the small hole. Once you are done filling, turn the shaker upright and now your spice sits in the reservoir on the inside. To use the shaker, just shake it up and down and the spice sprinkles out the bottom. 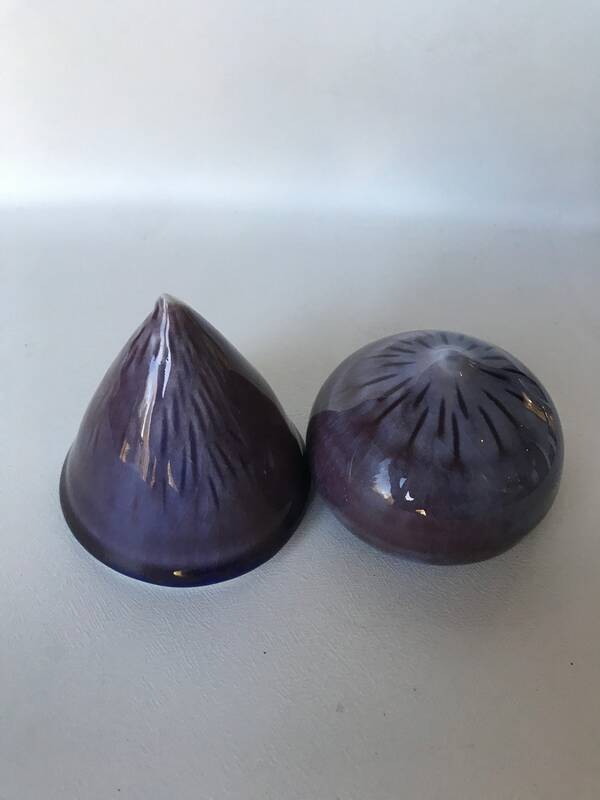 This set was wheel thrown in porcelain, and then etched and glazed in a high gloss blue glazes with flashes of purple/red.